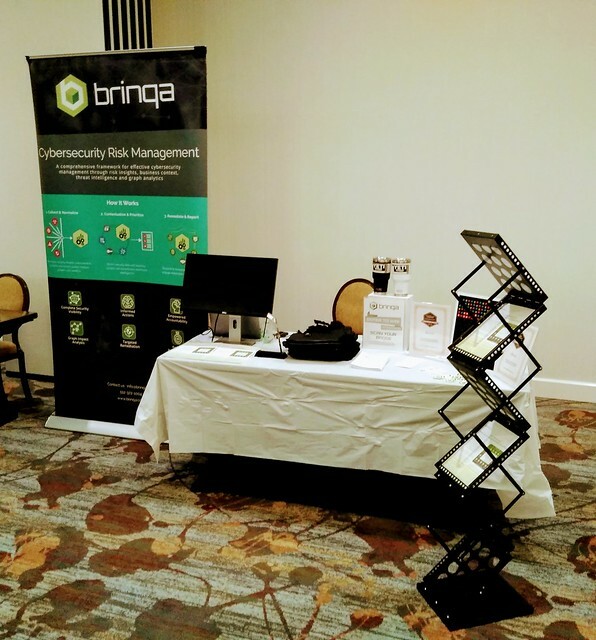 Brinqa was excited to be a part of the Data Connectors Dallas event at the Sheraton Galleria Dallas on April 4, 2019. We were fortunate to meet some new partners, refresh old connections, and learn about the latest in what global brands and non-profits are doing to protect their network infrastructure. We held two drawings for 30 oz YETI Rambler cups; the winners were Anzar H. of JCPenney and Nandish H. from Bank of America. We also drew the name of Eric K. from PepsiCo as the winner of our $50 online Amazon gift card! Thank you to everyone who played, and visited with us at the booth.